Studio Apartment To Rent in Leicester for £525 per Calendar Month. 'All the Worlds a stage' Development in the City Centre offering stylish and modern living. 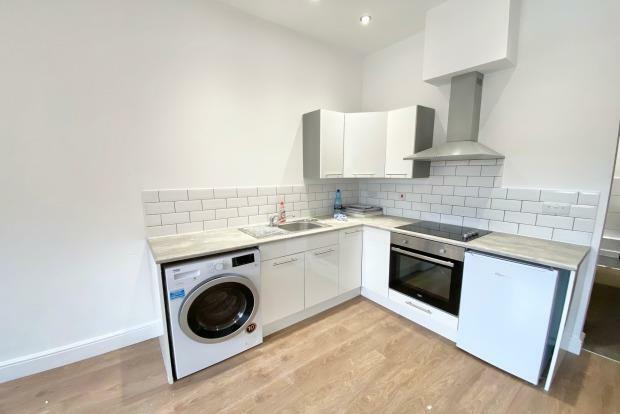 This large spacious studio apartment comprises of a large open plan kitchen and living area with modern fixtures and fittings including white good appliances. The bedroom is very spacious and offers a lot of light. The bathroom is very modern with a shower over bath. The property is very modern throughout and would be perfect for a single person or a couple. The property can be offered furnished or unfurnished and parking can be available also by negotiation. Unfurnished Â£525 Or Furnished Â£575. Please note the pictures are of another apartment in the same block. Please call the office today to arrange your viewing for this luxury city centre apartment.